The Riccardo Paletti racetrack is a circuit located in Varano de 'Melegari, near Parma. 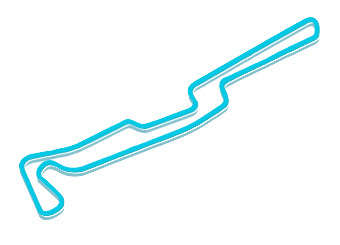 At the end of the 80's, the Ickx curve was replaced by a variant for safety reasons, while in 2002 the new straight stretch is about 2km long and, avoiding the old first curve called Parabolica, from the New Variante reaches the 1st Esse passing through the new Parabolica placed a few hundred meters further east, for a total length of 2.375 meters. However, in August 2010 the Ickx curve was modified and restored by replacing the old variant and joining a single double-radius curve to the "Horseshoe" and bringing the overall length of the track to 2.360 meters. The racetrack was, and still is, an important stage for many young people who later became champions such as Alessandro Zanardi, Giancarlo Fisichella, Alessandro Nannini, Luca Badoer, Kimi Raikkonen, as well as Jacques Villenueve who moved his first steps in Formula 3 at Varano and Valentino Rossiwho regularly come and ride on the circuit at a very young age.